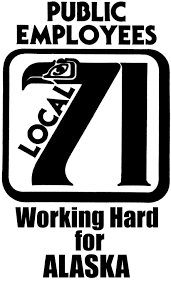 ANCHORAGE, AK--- Public Employees Local 71 expresses concern for our members, their families, and the communities in which we work and live following today’s earthquake. State offices were closed by announcement at 8:58 AM this morning to assess damages. At 9:47 AM it was announced that The Dena’ina Civic & Convention Center would be an available shelter for those who could not make it home. This was updated to the Egan Center at 11:51 AM, as the Dena’ina had lost utility services. Local 71 leadership continues to coordinate with responders and support the assessment and repair of public facilities and transportation.